The Ten Commandments aren't simply artifacts to put on display in a glass case. They are a fountain flowing with practical wisdom, offering solutions to real problems and situations all of us deal with every single day. Their verification is in their application. By Loren Wade. Prophecy Study Edition in a Hard Cover, including all 27 Amazing Facts Study Guides. 64-page concordance, Biblical Cyclopedic Index, red letter, and much more! By Amazing Facts. God wrote His law in stone, and you're still supposed to keep it today! They aren't called the ten suggestions, ten recommendations, or the ten greatest ideas. Since so much is at stake, you should take a few minutes to seriously consider your responsibility. By Bill May. What is the role of the Ten Commandments in America, and how should a Christian citizen respond? Can the Commandments really save our country? The answers just might surprise you! By Anthony Lester. Share these Ten Commandment book marks with your friends and neighbors. Book marks are card stock and laminated so they'll last for many years to come. A workbook to go along with the book! Retain the key points better and strengthen your devotional relationship with God! By Skip McCarty. Many Christians have been led to believe that the passing of the Old Covenant means that the Ten Commandments are no longer an issue. But is this biblical? Joe Crews offers a powerful, biblical argument to support Sabbath observance by New Testament Christians. By Joe Crews. Packed with colorful, attention-grabbing graphics, fascinating trivia, and compelling Bible facts, those you share it with won't be able to put it down! This sharing magazine presents seven of the most misunderstood biblical subjects in a direct and captivating way — heaven, hell, salvation, Sabbath, and more. By Amazing Facts. Going to the very heart of the Bibles most challenging book, this 90-minute documentary, hosted by Doug Batchelor, decodes the visions of Revelation 12 and 17 for everyone to understand. 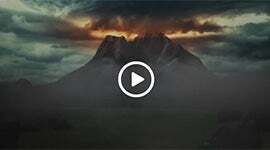 Journeying from the birth of Christ through the Christian era, this amazing video pulls aside the veil of hidden history to reveal the rise of Babylon, the persecution of the bride of Christ, and the true identity of the beast. If Christians are under grace and not the law, is the Sabbath still relevant today? Is it legalism to esteem one day above any other? 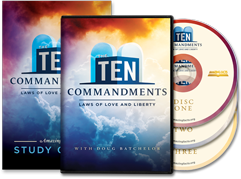 Do the Ten Commandments really have a place in the new covenant experience? Get solid, scriptural answers about this sacred truth. By Allen Walker.